While average annual total costs per employee increased from $9,727 to $9,934, employees’ share of total costs rose 5%, from $3,378 to $3,550, while employers’ share rose less than 1%, from $6,350 to $6,401. The good news for employees is that, for a second year in a row, median in-network deductibles for singles and families held steady at $2,000 and $4,000, respectively. Similarly, some out-of-network deductibles remained unchanged, with families’ median out-of-network deductible remaining at $8,000 in 2017. Conversely, singles, who had been holding steady in 2014 and 2015 at a $3,000 median out-of-network deductible, saw a 13.3% increase to $3,400 in 2016, and another jump in 2017 to $4,000. Since deductible increases help employers avoid premium increases, we will likely see this trend continue, especially as insurance carriers are required to meet the ACA metal levels. Both singles and families also are seeing continued increases in median in-network out-of-pocket maximums, up to $5,000 and $10,000, respectively. Families bore the brunt of the increase in median out-of-network out-of-pocket maximums between 2014 and 2016, going from $16,000 in 2014 to $18,000 in 2015, to $20,000 in 2016, but then holding steady at $20,000 in 2017. The maximum for singles, which had remained steady at $9,000 in 2015 and 2016, increased in 2017 to $10,000. Interestingly, out-of-network expenses are not subject to ACA limitations, so it was theorized that they’d likely continue to skyrocket with more plans eliminating out-of-pocket maximums for non-network services. Perhaps to offset that, more employers adopted plans with no deductible for out-of-network services, while employees saw a massive decrease in the number of employers offering no deductible for in-network services. Looking at deductibles and out-of-pocket costs just among the ever-dominant PPO plans, in-network and out-of-network deductibles for families and singles are generally below average. However, the median in-network single deductible for PPO plans has held steady at $1,500 in 2016 and 2017, along with the family deductible at $3,000. The increases were seen in the out-of-pocket maximums, which rose in 2017 to $4,500 for single (up from $4,000 in 2016), and to $10,000 for family coverage (up $1,000 from $9,000 in 2016). 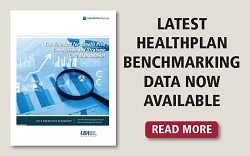 For a comprehensive chart with average/median, in-network/out-of-network deductibles, maximums, and copays, download UBA’s free 2017 Health Plan Survey Executive Summary. To benchmark your exact plan against others in your region, industry or size bracket, contact a UBA Partner near you to run a custom benchmarking report.